Mancar Sebako Village, it’s a village which belongs to the Bidayuh Sebako people, a local native group in Sarawak. Located at Lundu/Sematan. The unique about this place it’s the wonder creation of nature, the multiple tier of waterfall hiding deep inside the jungle. 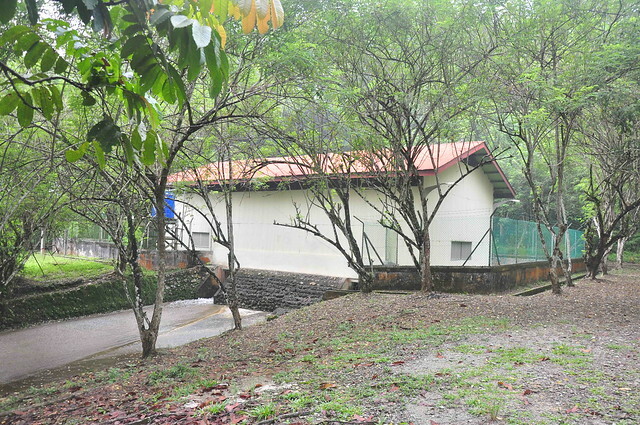 A water hydro station was build next to the village, however I’m not sure if the village are using the power generate by the station. I have been thinking of coming to this places for a very long time, and finally I have the chance to visit this place. It rain on the night before I go, it dampened my hope on the expedition might be cancel due to heavy rain. But fortunate enough the next day the weather was fine. Upon reaching the village, our porters are waiting for us at their house. We unload our food supply, and cooking gear to let the porter carry for us. It took us around 35 minutes’ walk from the village to the hydro station. 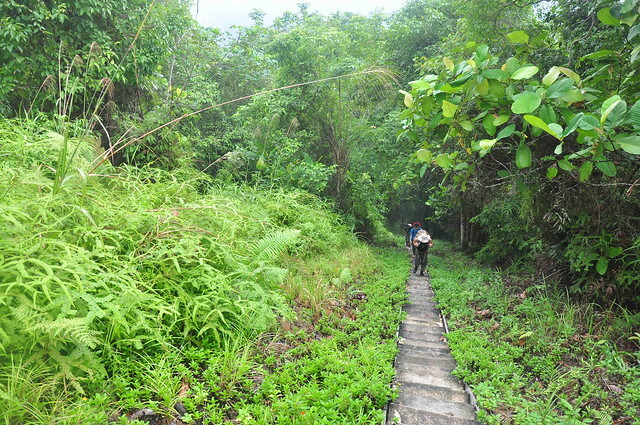 This is just flat ground hiking, there is a stairway next to the station, and that is where the challenge starts. 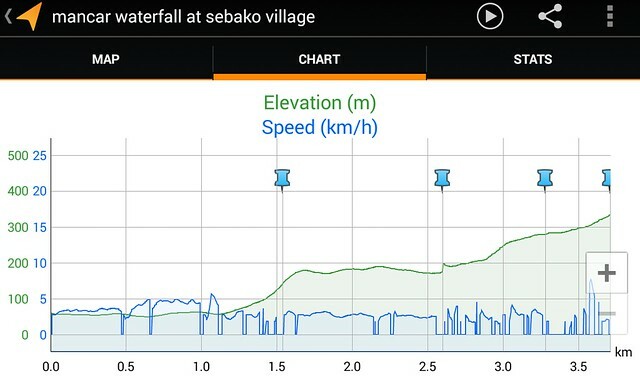 With around 150m elevation, it took me around 20 min to slowly walk up the stairway. 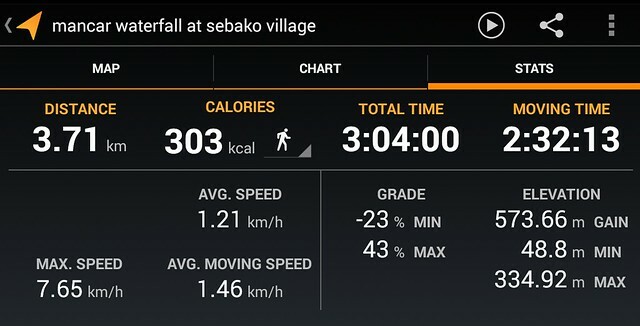 I remember my last exercise was maybe around 4 months ago, so it was a tough challenge. I stop few times to catch my breath, and continue walking again. 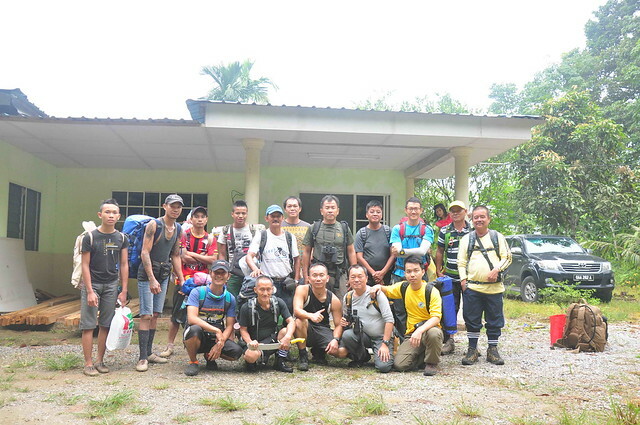 This stairway was funded by the Sarawak energy company, and build by the local people there. Its not an easy job, as they have to carry the cement steps, and arrange it nicely to become a staircase. 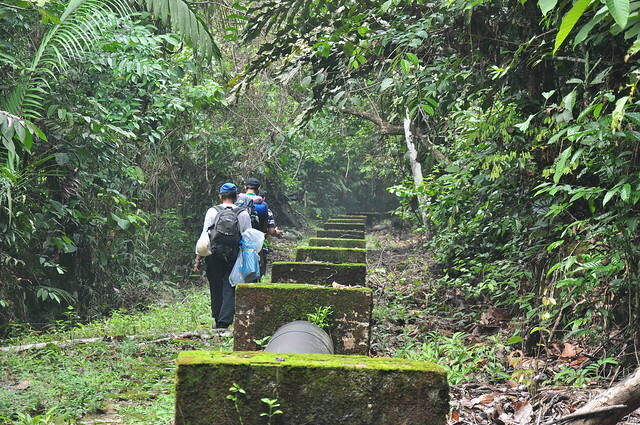 Then, I saw huge water pipe connecting to each other section by section. 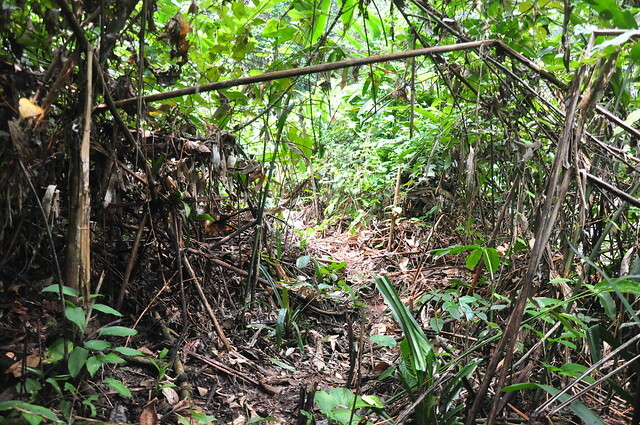 This is the water source for the village people, and they are very lucky to be able to get clean and free water. Reached a water dam on the end of the water pipeline. The dam collects part of the water, and it flows into the pipe. 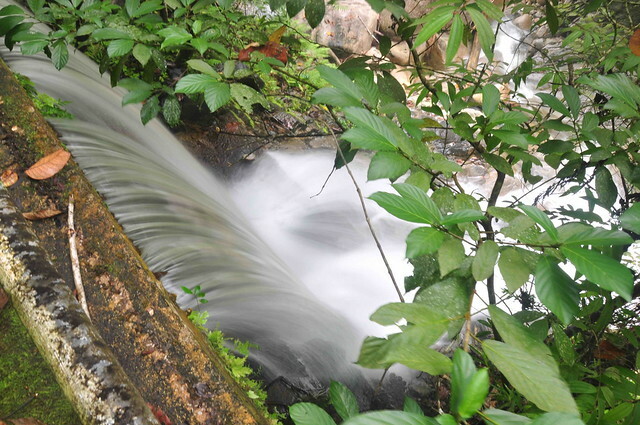 The exceed water then flows out down into the forest. We stop here for a quick break, and to catch our breath. 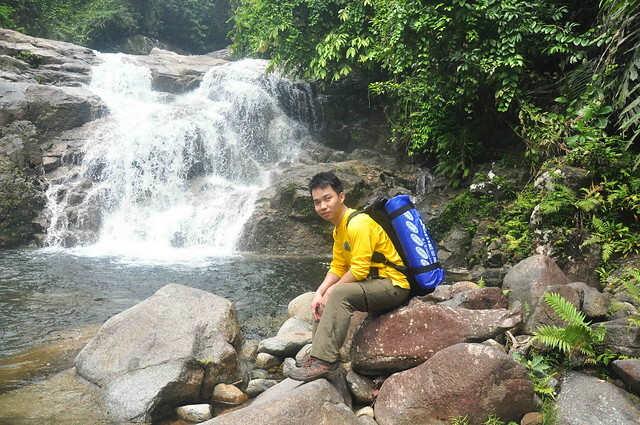 We have reach another waterfall, the journey continue after the break, and I check my time it was around 11.30am. I start my journey at 9am. I have a tent, a matt, two 1.5 litter of water, clothes, sandals, rain coat, utensils, torchlight, knife, power banks, camera, camcorder, and some mics stuff all weigh around 10 kg at my back. Can feel my shoulder are stiff, and leg a bit sore. 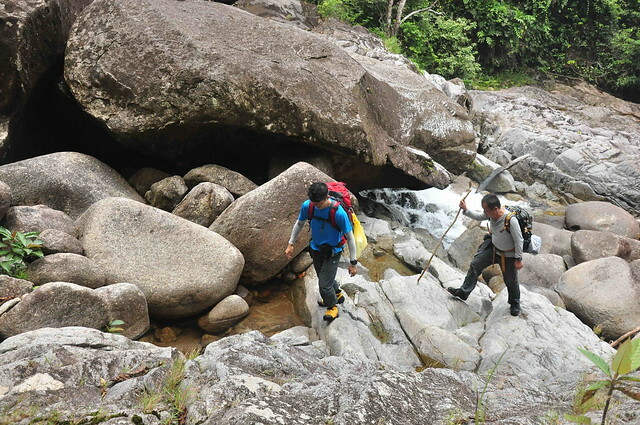 But the journey did not stop there, we have to continue hiking into the jungle again. And this time with dense forest, can tell that seldom have people here, that is why the path are always been block by vines, and leaves. Another waterfall, and multiple tiers of waterfall. We climbs all the way up by following the source of the water. This is rock climbing!!! When we reach to tier no 9, we stop there to setup camp. That will be the place we stay for one night. Our guide and my friends start to collecting wood to setup camp, and fire. While some of us get ready to cook lunch. It starts to drizzling after we finish setup camp, and manage to hide under the camp. That night I did not sleep well, maybe because I’m not use to the environment. 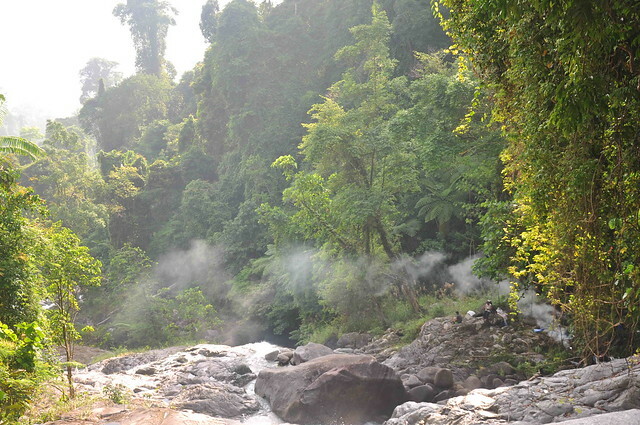 Camping next to the waterfall is my first experience, I always have this feeling that it was raining, due to the water sound, but its not. The next morning, we hike further up again. The view up there was breathtaking!!! 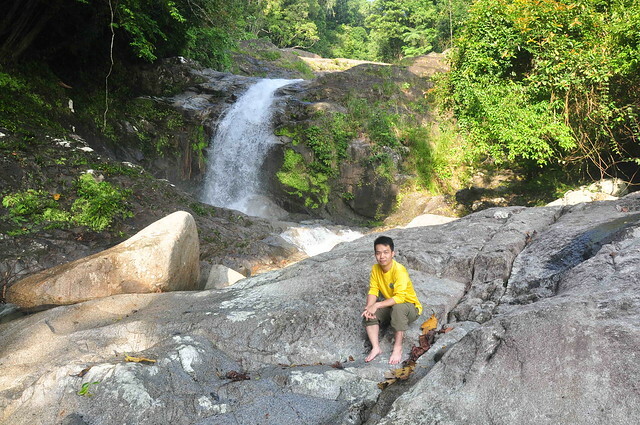 I like it there, just that it require 3 hours plus to reach to the waterfall. Hope one day my team and I can come back and camp here again. Dear readers, do enjoy my video, and I will see you in my next post. Thank you for reading. 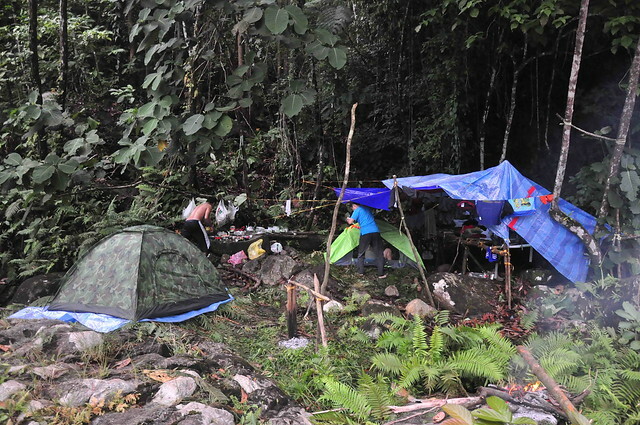 I love to read about your trips to these very charming and hidden area of Sarawak. Keep it up !